Believe it or not, Youtube has seen a rise in many such songs in Bhojpuri, Punjabi, Haryanvi and there is even DJ and Rap versions! People have been battling demonetisation woes, long queues outside banks and ATMs and the diffculty of securing some cash in hand all with a plethora of jokes and memes. If spoof videos like that of Hitler reacting to demonetisation were not enough, we now have a collection of songs reacting and mostly celebrating PM Modi’s move. The decision to abolish higher currency notes has mostly affected people getting married this season and we have seen ample jokes and bizarre gifting ideas to the brides and grooms. Remember the IOU (I Owe You) envelopes being presented by guests? Or Harbanjan Singh’s idea of gifting the newly married couple card swiping machines? Well, wedding and note ban have created a deadly laughing-combination. And as we know, no Indian wedding is complete with some dance, baja, baraat, so this season note ban songs are the most popular choices to shake your legs. Believe it or not, Youtube has seen a rise in many such songs in Bhojpuri, Punjabi, Haryanvi and there is even DJ and Rap versions! Whatever the mood, there is some note ban song to dance too. While a few mourn about what to do with the old notes, or take a dig at the blackmoney holders, most laud the ‘surgical strike’ by Narendra Modi. These parody songs of popular tunes and songs are quite hit and are also trending on social media sites. 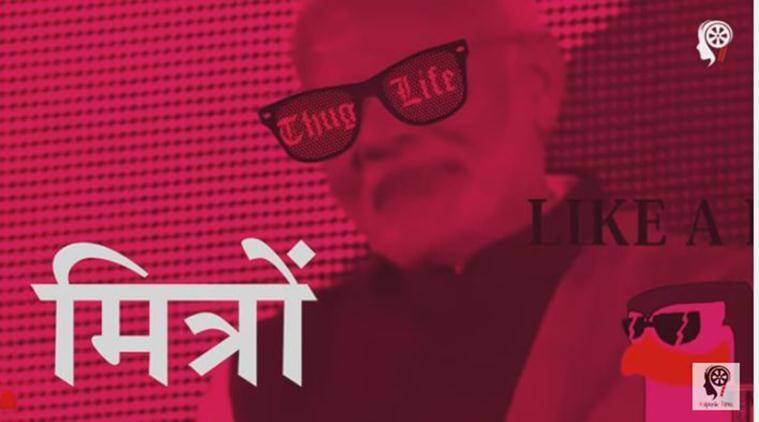 In some of the videos, you can also see a Modi cartoon dancing to these tunes, and we have to say it is just hilarious. Tell us your favourite version in comments below.